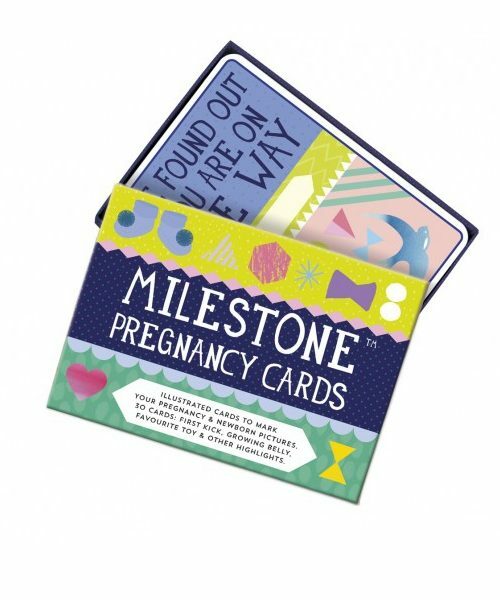 Capture the miracle of your pregnancy with Milestone Pregnancy Cards. Now you can mark those special moments during your pregnancy and with your newborn by simply including these cards in your photos. 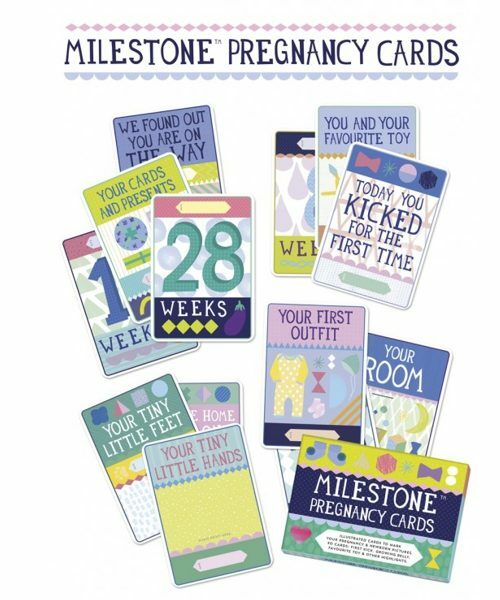 This set contains 30 illustrated cards that celebrate moments like the first kick, pregnancy cravings, the growing belly as well as newborn highlights like favourite toy, hand and foot print and many more. They make a special baby shower gift too. Make your pregnancy and your little one’s first days unforgettable! In this digital age where time flies and special moments are so easily forgotten. Milestone cards provide the perfect tools to capture, remember and share those precious moments. 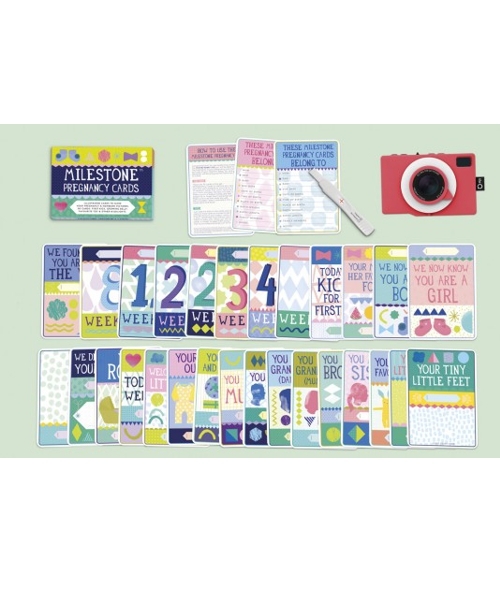 Milestone cards are sets of photo cards to capture and remember special moments that make you smile. The idea came from Dutch mom Gemma Broekhuis who wanted to capture the first time her son Mikkel rolled over. She wrote a card, added the date, and took a picture of her son with it. She did the same when he slept through the night, crawled, ate his first solid food, etc. Realizing how precious those pictures were and how easy it is to forget those key moments, she decided to turn her idea into a product. Never miss a milestone again!